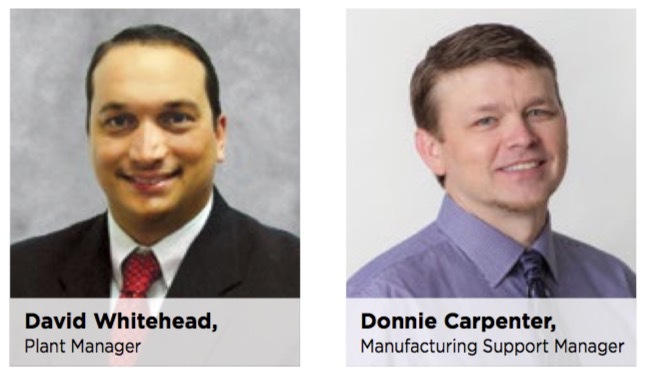 Thermo-Kool recently announced the promotion of David Whitehead to Plant Manager and Donnie Carpenter to Manufacturing Support Manager. Whitehead joined Thermo-Kool in 2003 as Manufacturing Engineer and has held several supervisory and engineering roles. During his tenure, Whitehead has been instrumental in the implementation of numerous factory wide process improvements and most recently in implementing and coordinating the company’s capacity manufacturing approach. In 1999 Whitehead earned his Associate of Science Degree in Electrical and Robotic Technology from Southwest Mississippi Community College, Summit, Mississippi, and in 2002 he received his Bachelor of Science degree in Industrial Engineering Technology from the University of Southern Mississippi, Hattiesburg, Mississippi. implementation of several design software transitions including the 3-D design software currently being used. Carpenter attended Mississippi State University in the mechanical engineering program.